WASHINGTON — Federal investigators are examining whether former National Security Adviser Michael Flynn met with senior Turkish officials just weeks before President Donald Trump's inauguration about a potential quid pro quo in which Flynn would be paid to carry out directives from Ankara secretly while in the White House, according to multiple people familiar with the investigation. Investigators for Special Counsel Robert Mueller's probe into Russia's interference with the U.S. presidential election recently questioned witnesses about the alleged December 2016 meeting between Flynn and senior Turkish officials, two people knowledgeable with the interviews said. The questions were part of a line of inquiry regarding Flynn's lobbying efforts on behalf of Turkey. Four people familiar with the investigation said Mueller is looking into whether Flynn discussed in the late December meeting orchestrating the return to Turkey of a chief rival of Turkish President Recep Tayyip Erdoğan who lives in the U.S. Additionally, three people familiar with the probe said investigators are examining whether Flynn and other participants discussed a way to free a Turkish-Iranian gold trader, Reza Zarrab, who is jailed in the U.S. Zarrab is facing federal charges that he helped Iran skirt U.S. sanctions. Mueller is specifically examining whether the deal, if successful, would have led to millions of dollars in secret payments to Flynn, according to three sources familiar with the investigation. The meeting allegedly took place at the upscale 21 Club restaurant in New York, just blocks away from Trump Tower, where Flynn was serving on the presidential transition team. Flynn was offered upwards of $15 million, to be paid directly or indirectly, if he could complete the deal, according to two sources familiar with the meeting. Investigators also are looking into what possible role Flynn's son, Michael G. Flynn, may have played in any such efforts. The younger Flynn worked closely with his father at his lobbying firm, Flynn Intel Group. The elder Flynn was fired in February after just 24 days as Trump's national security adviser when it became public that he misled Vice President Mike Pence and other Trump officials about his conversations with the Russian ambassador to the U.S.
NBC News reported Sunday that federal investigators looking into Russia's intervention in the 2016 election and possible collusion between Moscow and the Trump campaign have gathered enough evidence to bring charges in the investigation into Flynn. The grand jury is continuing to interview witnesses with knowledge of Flynn's business activities over the next week, two people familiar with the deliberations said. The elder Flynn's lawyer, Robert Kelner, did not respond to requests for comment. The younger Flynn's lawyer, Barry Coburn, declined comment. Erdoğan has repeatedly pressed U.S. officials to extradite the cleric, Fethullah Gülen, who lives in Pennsylvania. Turkey blames Gülen for the attempted coup in that country in July 2016. Erdoğan also has repeatedly raised Zarrab's case with U.S. officials. Rudy Giuliani, who was a top Trump campaign surrogate alongside Flynn, is part of Zarrab's defense team. The New York Times reported that Giuliani met with Erdoğan in late February and discussed an agreement under which Zarrab would be freed in exchange for Turkey's help furthering U.S. interests in the region. Speaking to reporters after the meeting, Erdoğan said he had previously raised Zarrab's case with then-Vice President Joe Biden and suggested Preet Bharara, the U.S. attorney in Manhattan, was acting on behalf of supporters of Gülen, according to the Turkish newspaper Hürriyet. Trump fired Bharara this past March. NBC News reported Sunday that federal investigators were looking into whether Flynn tried to push for the return of Gülen to Turkey once in the White House in exchange for millions of dollars, and that Trump administration officials asked the FBI to review the Gülen case anew. Officials said the FBI denied the request because Turkey had not provided any new evidence in the case, which was reviewed by the Obama administration. Extradition requests are processed through the State Department and U.S. justice system and are not determined by the White House or other agencies. 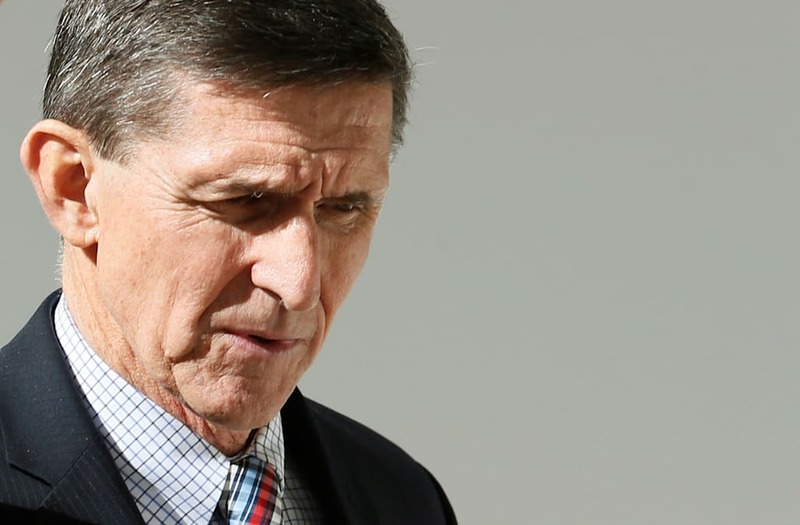 The possibility of the multimillion-dollar deal involving Flynn and Turkey arose as investigators examined Flynn's past dealings with foreign governments. Flynn was paid $530,000 last year during the 2016 campaign for work he did during the campaign that the Justice Department says benefited the Turkish government. Flynn did not register as a foreign agent at the time, as is required in the U.S. for anyone working for a foreign government. His lawyer later said Flynn didn't need to register because his client was a Turkish businessman not a government official, though he opted to do so retroactively. According to Flynn's Justice Department filing, his firm, Flynn Intel Group, was hired to gather information about Gülen, and to produce a short film about its findings. The contract ended the day after Trump won the election. As a top foreign policy adviser on the Trump campaign at the time, and then as national security adviser, Flynn played a leading role in shaping Trump's policy decisions on Turkey. Among Flynn's decisions as incoming national security adviser was telling the outgoing national security adviser, Susan Rice, not to move forward with a planPresident Barack Obama approved to arm Syrian Kurds in the ISIS fight. Turkey opposed the plan. Obama officials, who had notified Flynn of the plan in early January because it would continue on Trump's watch, said they were surprised. Flynn said he didn't trust Obama on the plan, which the Trump administration approved after he was fired as national security adviser. The decision on arming the Kurds came several weeks after Flynn held that key meeting with Turkish officials where the alleged deal for a "grab fee" for Gülen was discussed.